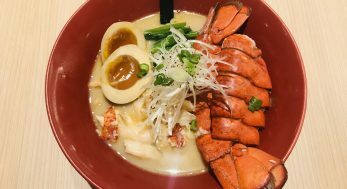 Among the various international cuisines available in Singapore, Japanese cuisine has been one of the more popular cuisines for many years. 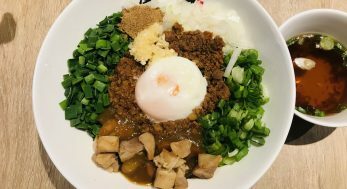 Japanese restaurants, in particularly Japanese restaurants that specializes in Japanese rice bowls, have been popping up all around Singapore. 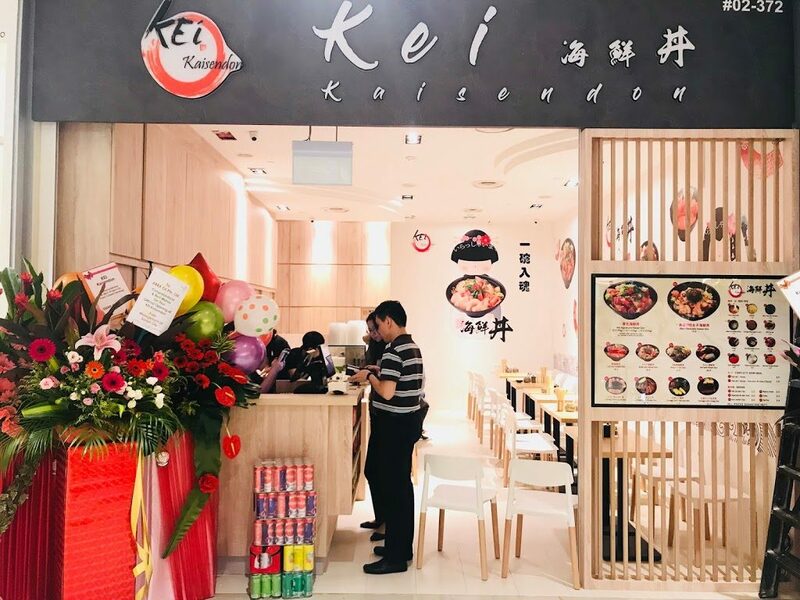 Following its success at its Paya Lebar Square and Square 2 outlets, Kei Kaisendon has recently opened a new outlet at Suntec City Mall. 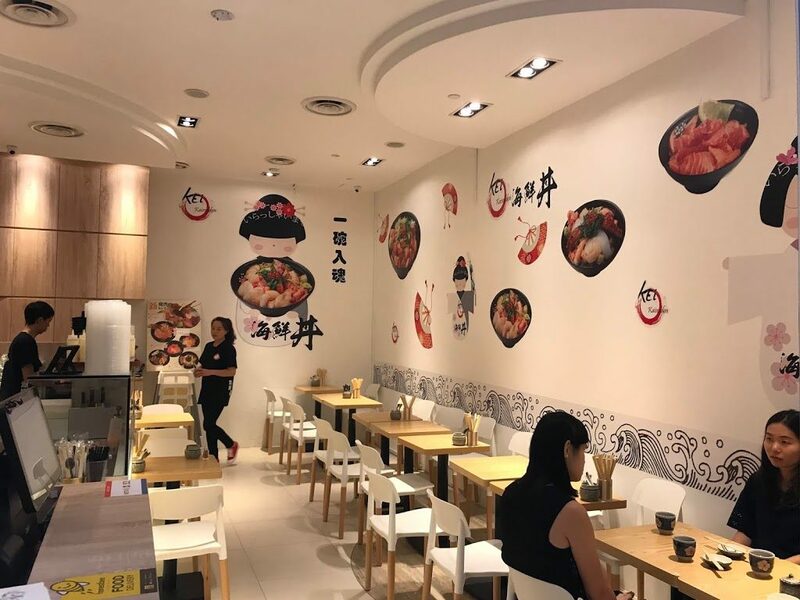 Pictures of the restaurant’s signature kaisendon fill the walls of the restaurant, the white florescent lights and white walls make the small restaurant appear larger. 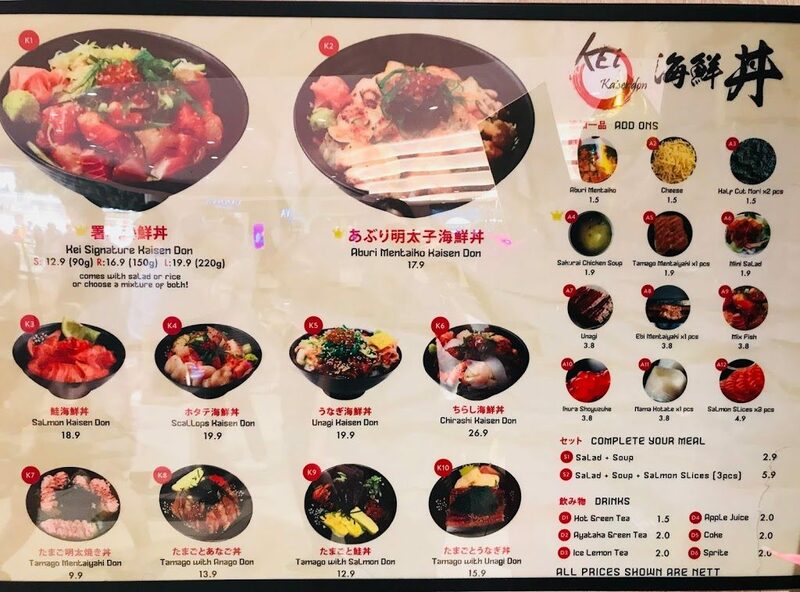 Kei Kaisendon offers 10 kaisendon bowls with various toppings and 12 add-on/side dishes to complete your meal. 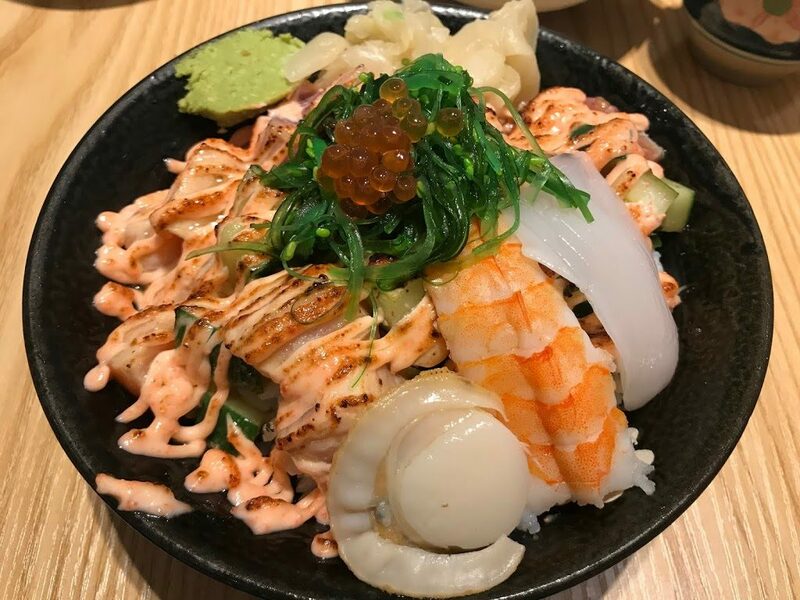 Kei Signature Kaisen Don [$12.90 for Small (90g), $16.90 for Regular (150g), $19.90 for Large (220g)] is the restaurant’s premium all-in kaisendon. 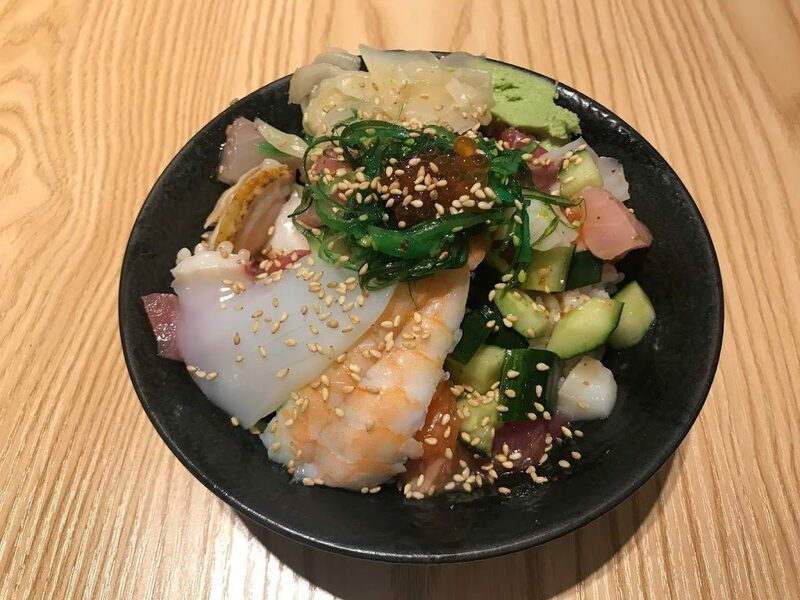 Thick slices of tuna, salmon, mackerel, yellowfin, scallop, squid and prawn lie on top of a bed of Japanese rice, accompanied by pickled ginger and wasabi. This is the first time I am seeing cucumber being used in kaisendon, perhaps to make up for its dismal amount of seafood. Topping the kaisendon with salmon roe is a nice touch but the wakame (seaweed salad) is a little redundant. The seafood should be fresh since I didn’t get any food poisoning but the prawn and scallop are bland. 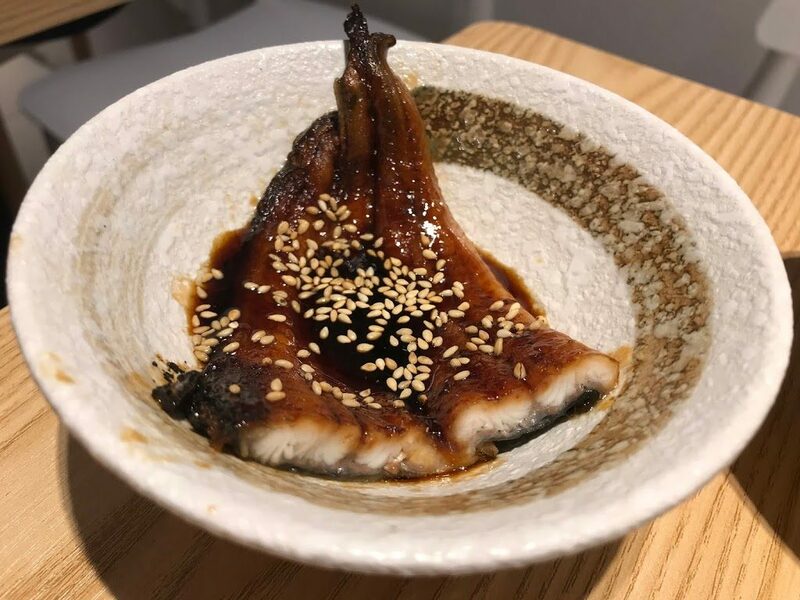 Aburi Mentaiko Kaisen Don [$17.90] consists of the same ingredients as Kei Signature Kaisen Don, with the addition of mentaiko mayonnaise sauce which is flamed to give a little smokiness. The prawn and scallop still lacks the sweetness that it should have, but the mentaiko sauce lends a rich creaminess to the dish. After having the best tamagoyaki in Tsukiji Market (please read about it here), the Tamago Mentaiyaki [$1.90 for 1 piece] just doesn’t cut it. The Japanese egg omelette itself is not soft and eggy enough. 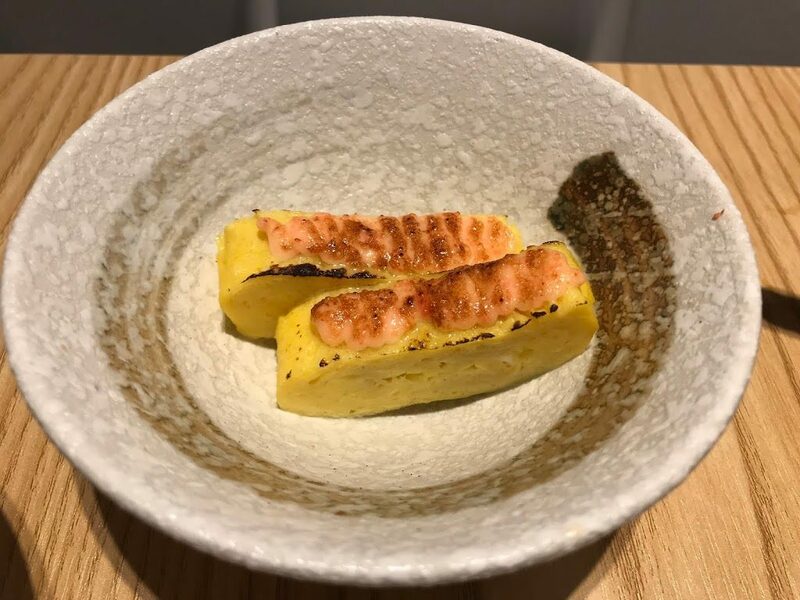 The flamed mentaiko sauce that tops the tamago, though tasty by itself, overpowers the subtle sweetness of the egg omelette. Unagi [$3.80] is well-cooked, but I am pretty sure this is not freshly-grilled but probably packed unagi cooked in an oven. There is a little too much unagi sauce and the end of the tail is a little burned. 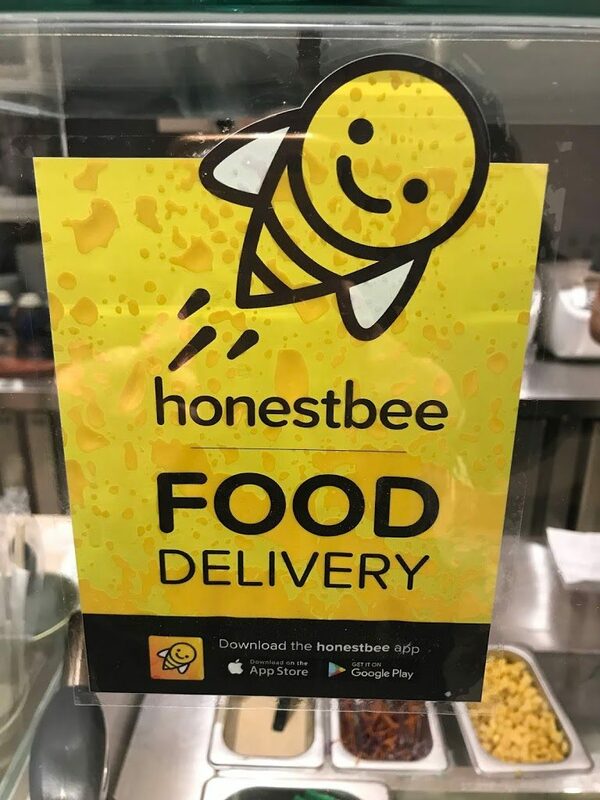 Those who don’t have the time to visit the outlets at Square 2, Paya Lebar Square can order Kei Kaisendon through food delivery service honestbee. 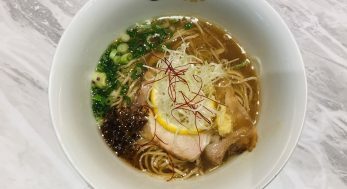 In my honest opinion, Kei Kaisendon is good enough for those who just want a quick meal, but the prices are little expensive for the quality and quantity. If you are into kaisendons you should definitely give Teppei Syokudo in Millenia Walk a try. They have one the most value-for-money kaisendon ever.